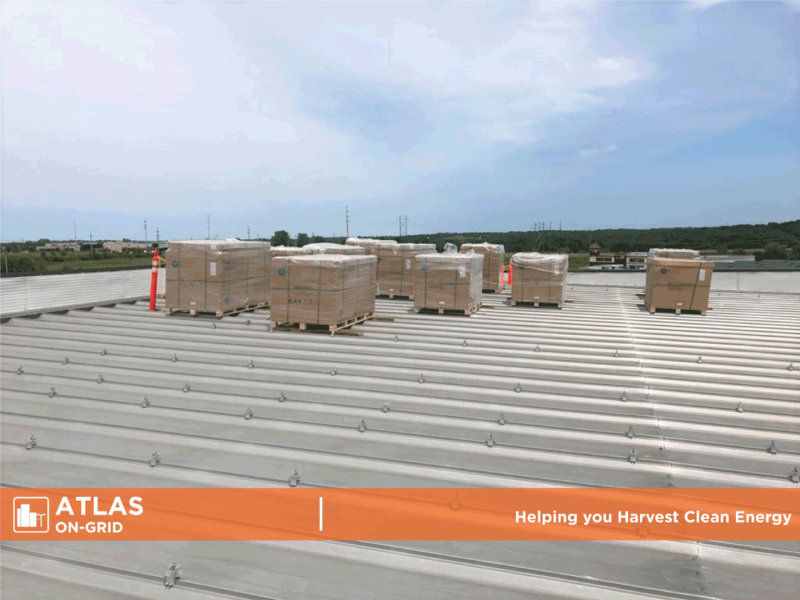 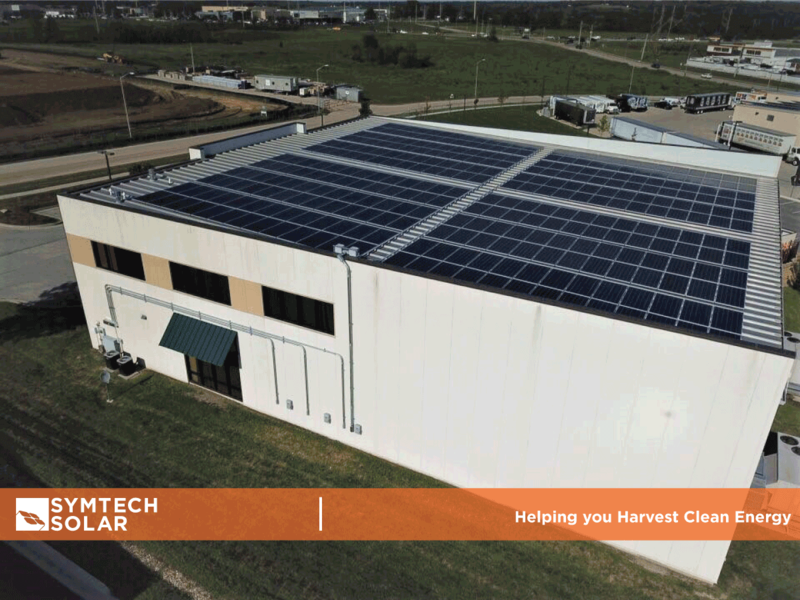 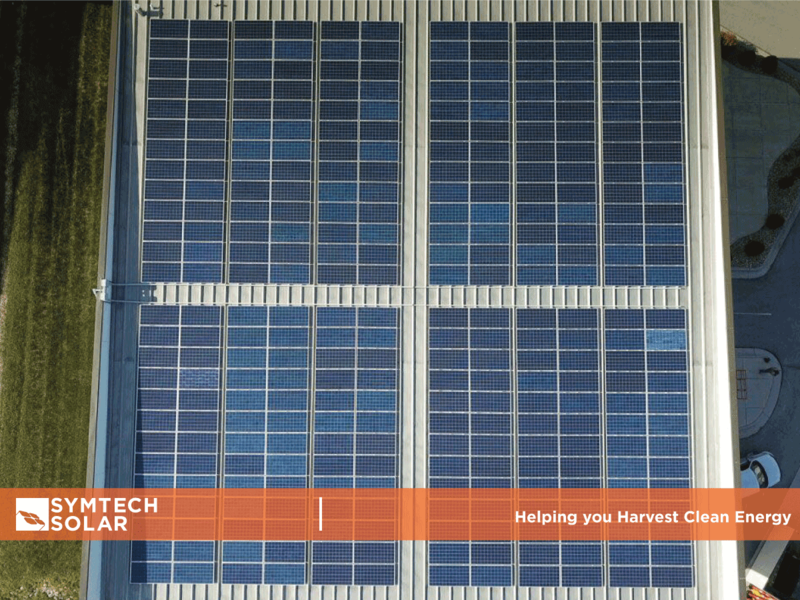 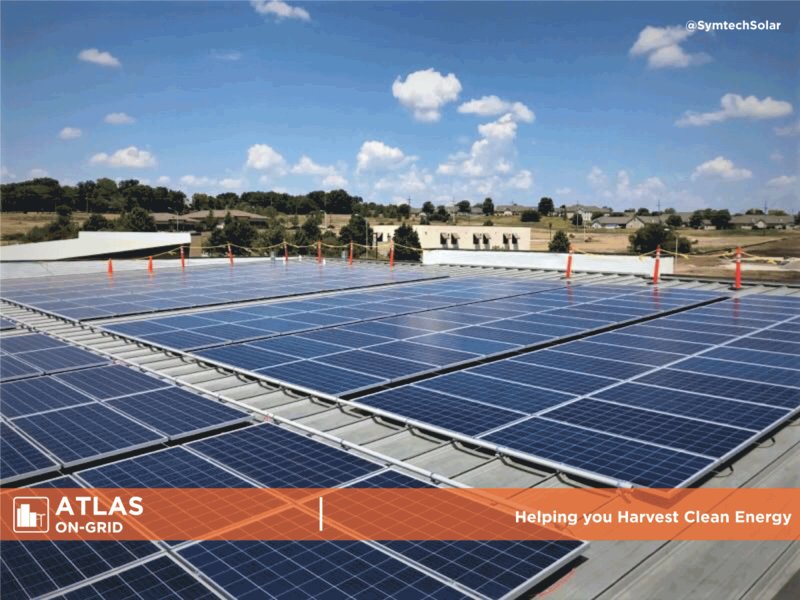 Located in Kansas City USA, this 100kW Commercial rooftop PV system was installed in a 3 phase configuration (480V). 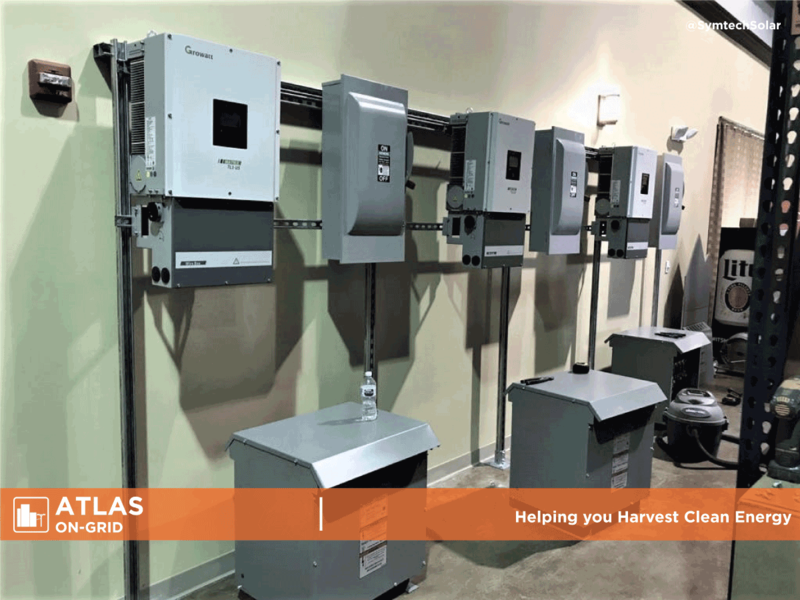 Utilizing 3 units of 33kW inverters each PV inverter has its own step-down transformer and DC disconnect. 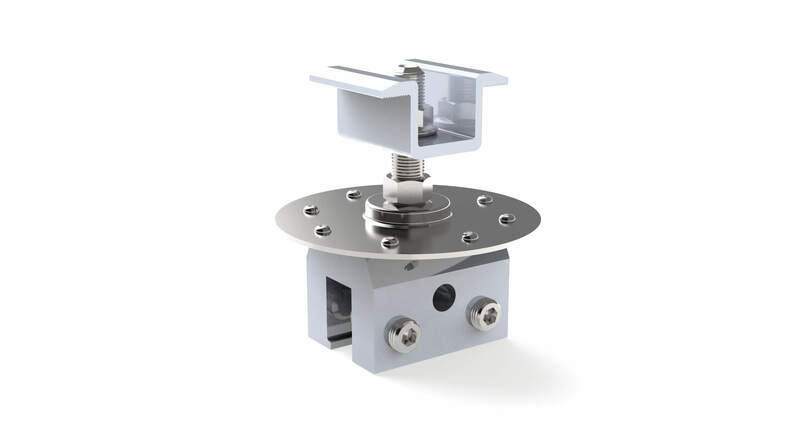 Designed with a rail less mounting system.